Corniglia in general was an accident and going to the marina was yet another happy accident.We saw the sign for stairs directing to the marina,Rosie and I decided to keep walking down and as we did the view we were blown away by how stunning it was.Only the locals and a few tourists knew about this little gem. We sunbathed and had our photo-shoot for hours. 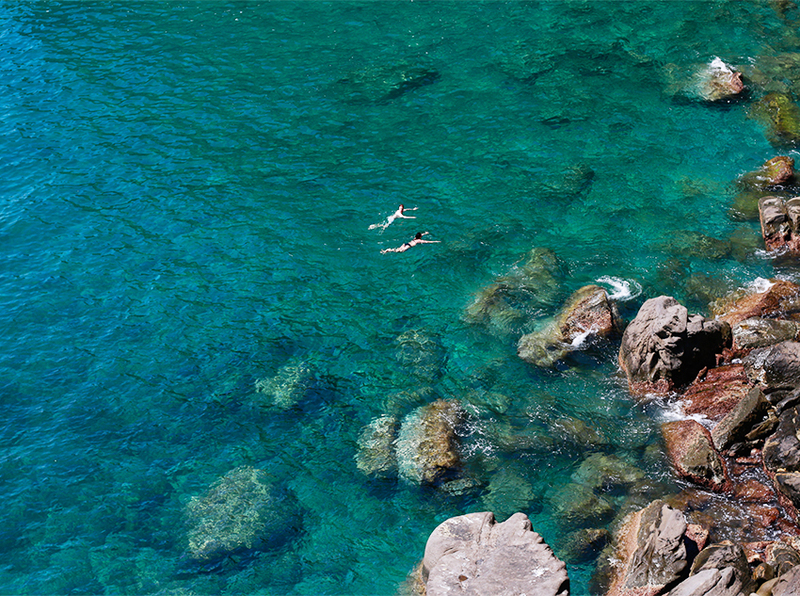 Swimming in the marina Di Corniglia was one of my favorite moment in Cinque terre. When we took the stairs to the Marina,My friend Rosie were not expecting such an amazing view reminded me of those photoshoot locations I've seen in so many magazines.